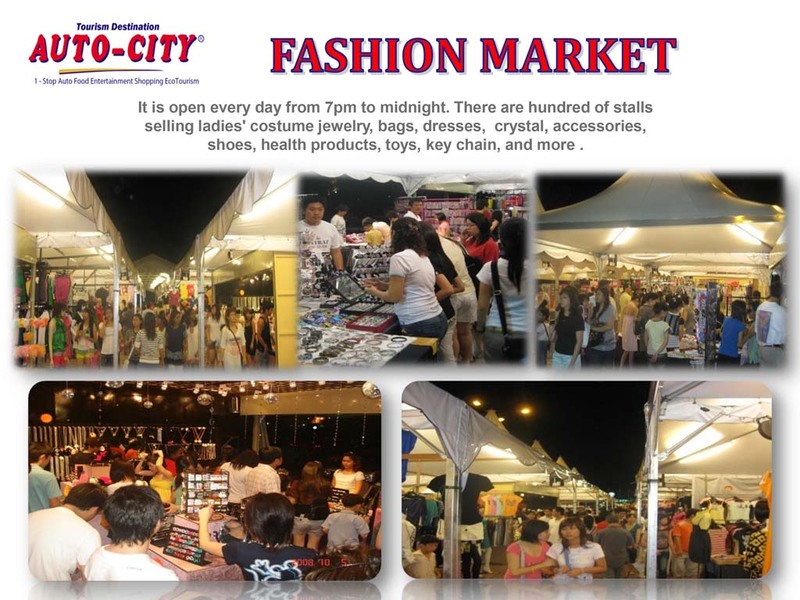 Business Address : 1688-F8, Jalan Perusahaan, Auto-City, 13600 Prai, Penang. 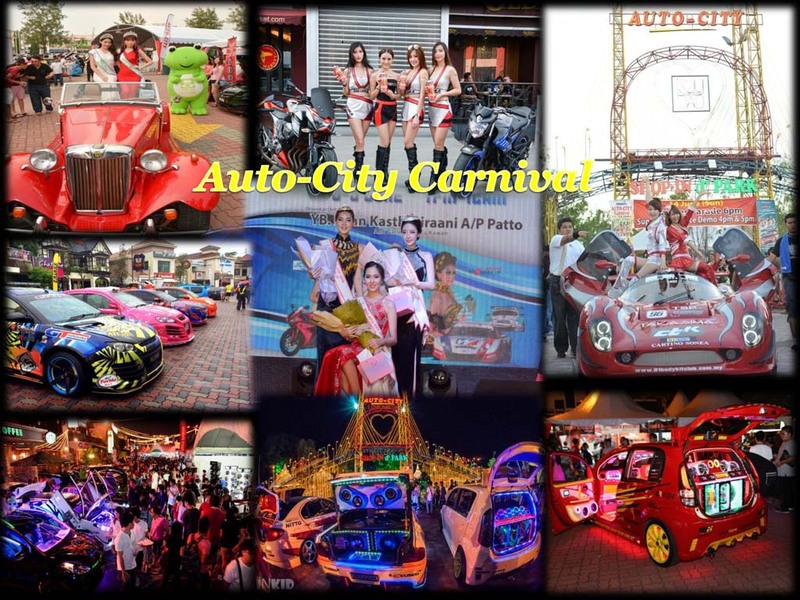 AUTO-CITY is endorsed by the Penang State Government as a tourism destination. 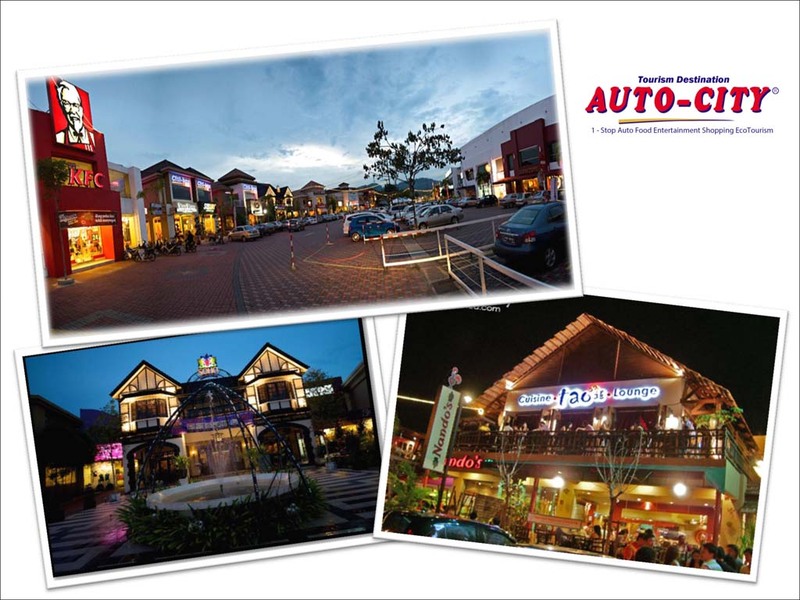 AUTO-CITY is a 1-Stop for Auto, Food, Entertainment, Shopping and Events. It is a low density commercial development with lots of open-air spaces, greenery, landscapes, trees, car parks and it is beautifully lighted up at night. 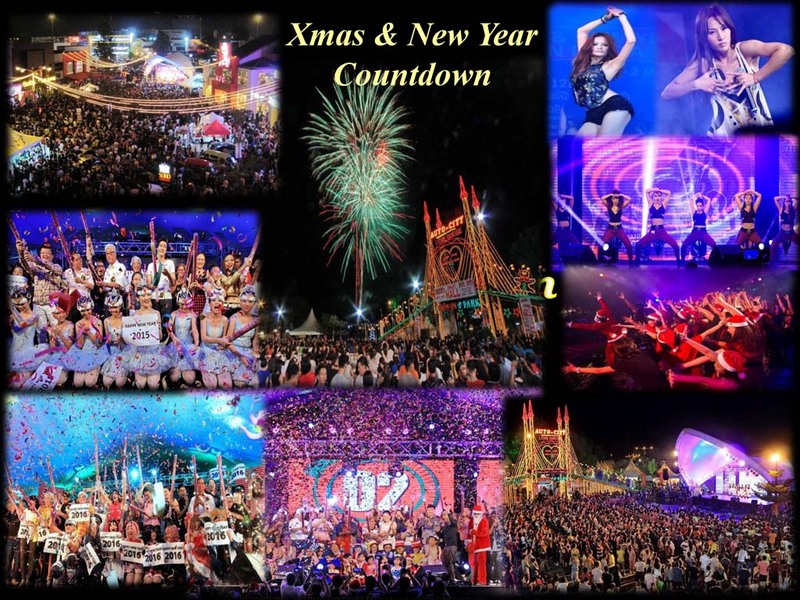 Visitors can patronize more than 30 restaurants and cafes as well as entertainment outlets. For local cuisines, there is a popular ‘Kim Garden’ with many traditional wooden food stalls decorated with collections from the olden days. 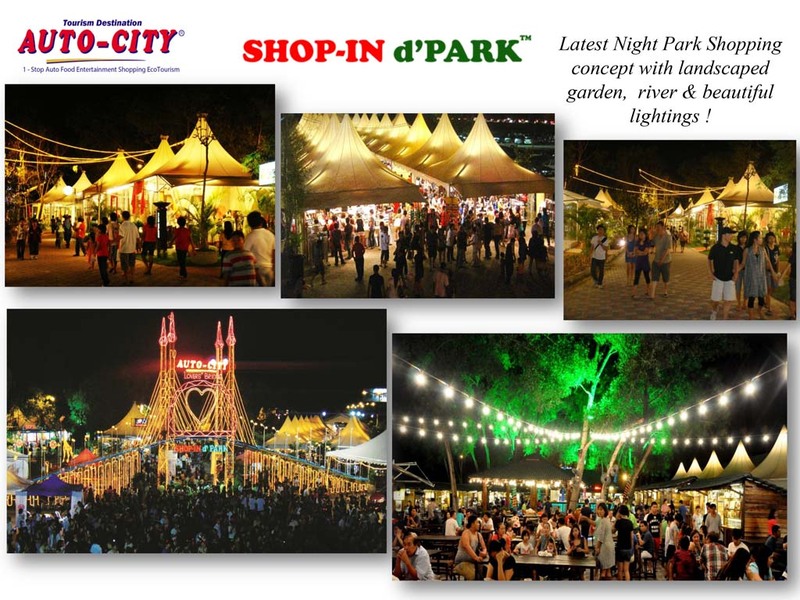 For night shopping, visitors can enjoy the night breeze strolling in the beautifully lighted landscaped park known as ‘Shop-In d’Park and shoppers can browse through hundred of stalls operated by young entrepreneurs. Operation hours are from 7pm to midnight. 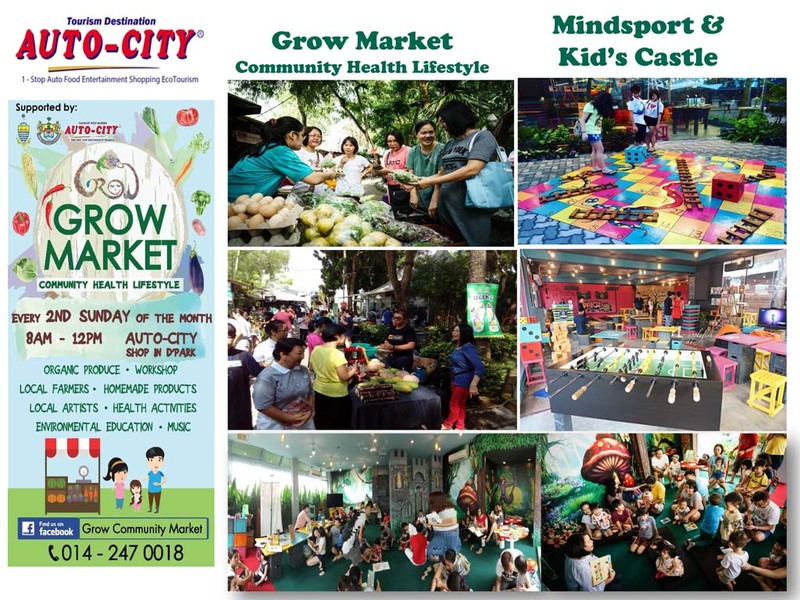 On the 2nd Sunday of the month (8am to 12pm) there is a Grow Market serving as a platform for local farmers to sell their fresh organic produce, for NGOs to promote their community programs and health activities and for green-minded individuals to promote their home-made products, arts & crafts. 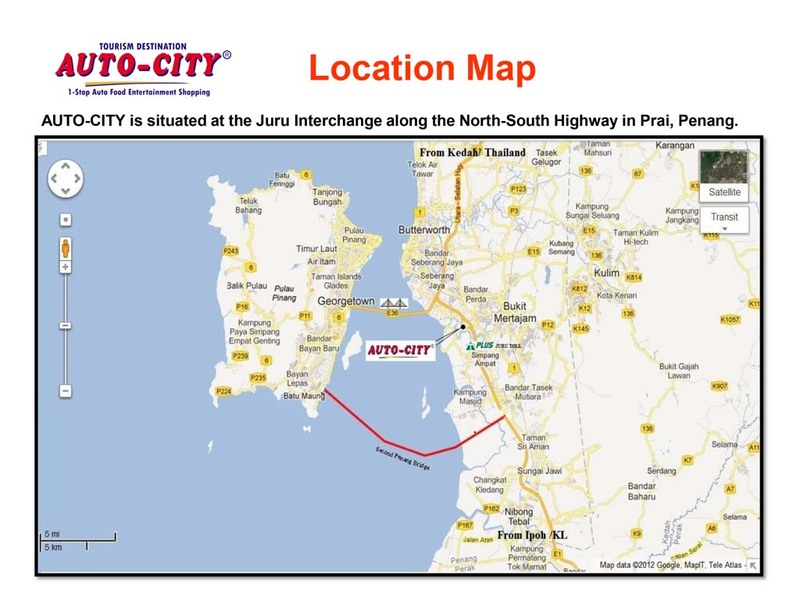 AUTO-CITY is located on the mainland of Penang at the North-South Highway Juru Interchange between the first and second Penang bridges. 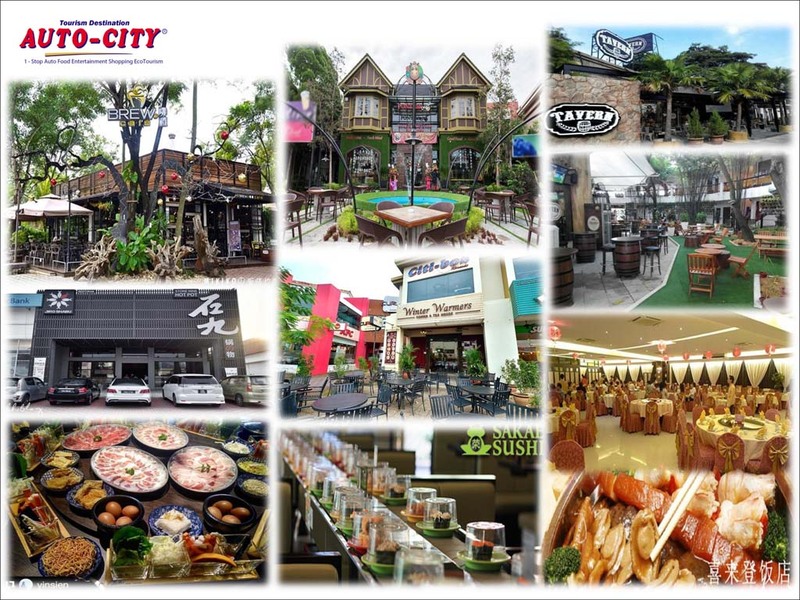 Travelling time from the Penang International Airport/Georgetown to AUTO-CITY is about 30 minutes by Taxi/Grab. 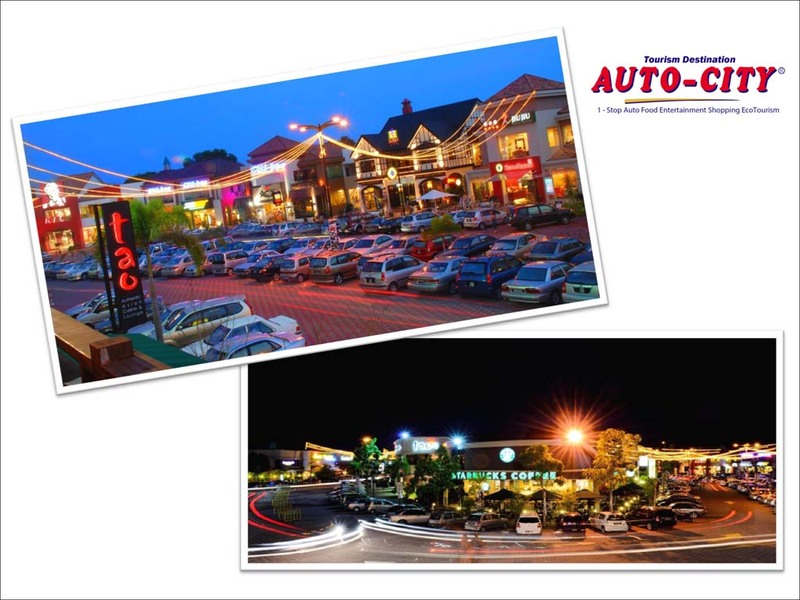 As AUTO-CITY has a big land area of 36 acres, visitors are advised to tell the Taxi/Grab to drop off at KFC/Starbucks/Shop-In d’Park. 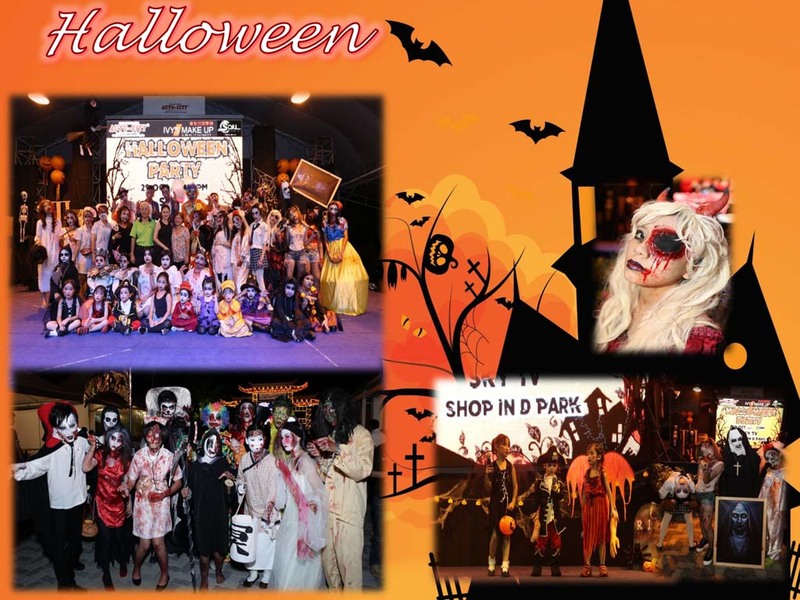 For further enquiry, please call 04-5011222.